The Club at Steyn City has aspirations to become South Africa’s next great private club. 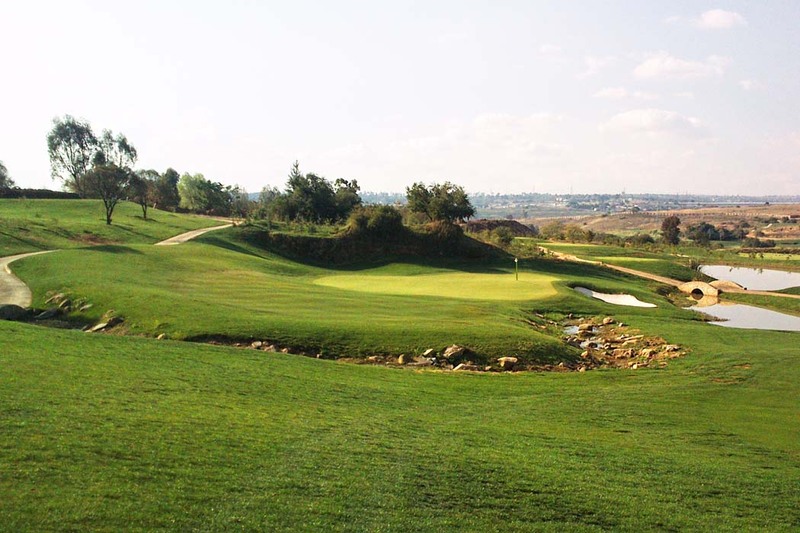 The new Nicklaus Design layout on the outskirts of Johannesburg opened April 1, 2015, after a long grow-in to ensure perfect conditions. At the center of the massive parkland and real estate development is the spectacular palace of owner Douw Steyn, a South African insurance mogul. His “Palazzo Steyn” mansion—valued at $250 million, the most expensive in South Africa—sits high on a ridge with mesmerizing waterfalls cascading down from above. The 7,054-meter golf course rides its rolling terrain gracefully. Ridges on certain holes keep players guessing at the proper line off the tee. The par-4 first and par-3 ninth holes cross the Jukskei River. Plenty of other water hazards come into play. The most interesting hole is No. 7, where a risk-reward downhill tee shot will flirt with a wandering stream. It’s drivable from the forward tees. The most difficult par 4 is the 471-meter closer. If you hit the split fairway, a pond awaits on the approach.